Rihanna’s ever-growing collection of sunglasses has expanded to include another pair from one of her favourite eyewear designers. 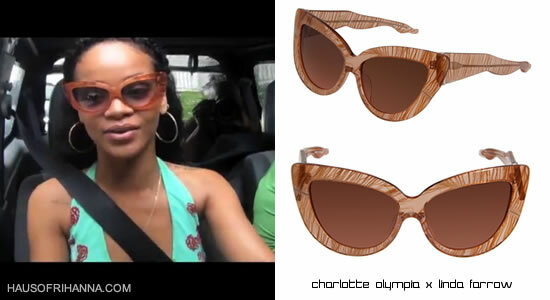 Rihanna chose the peach cat-eye sunglasses from Linda Farrow‘s collaboration with Charlotte Olympia for her interview with Oprah. The sunnies in this collab feature acetate frames infused with feathers. Check out a preview for the interview below. It airs August 19th on OWN.